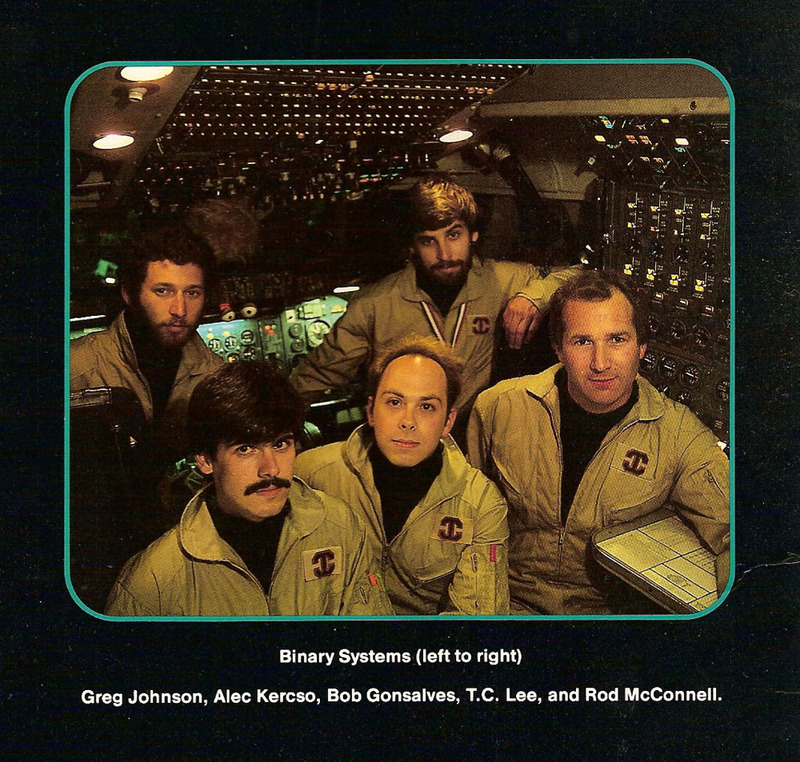 Binary Systems was a California based video game development company, founded in 1982 as Ambient Design, by Rod McConnell, a business man from Silicon Valley. McConnell used to play tennis with Joe Ybarra, former Apple executive, which in 1982 joined Trip Hawkins (founder of Electronic Arts) in the then recently formed Electronic Arts as a programmer. Inspired by the stories of his tennis playing partner about the Electronic Arts upcoming revolution in entertainment based on interactivity, McConnell decided to enter in the video Games business and hired a group of young programmers which consisted of Dave Bolton (McConnell's colleague, quit the project early on in development, the idea of using fractals, to generate an endless virtual universe came from him, inspired by the work of Benoit Mandelbrot, a mathematician recognized for his contribution to the field of fractal geometry), Greg Johnson (Starflight Lead Designer and later co-founder of Johnson Voorsanger Productions and one of the creators of ToeJam & Earl), Alec Kercso (programming), Bob Gonsalves (sound) and T. C. Lee (graphics and programming, replaced Dave Bolton). Then, the company signed a contract with Electronic Arts in 1983, and with Joe Ybarra leading the team as producer, developed Starflight, released in 1986, innitialy for IBM PC and Tandy Computer, which was later ported to a number of platforms including the Amiga and Commodore 64 in 1989, Atari ST and Macintosh systems in 1990 and later redesignedMedia:Starflight MD US Manual.pdf by Greg Johnson and portedMedia:Starflight MD US Manual.pdf to the Mega Drive in 1991 by BlueSky Software and published by Electronic Arts. The Original 1986 version of Starflight was one of the earliest to use procedurally generated content and his story network was also one of the earliest examples of a sandbox game design. It took three years for his completion, and was, almost cancelled more than once, with Joe Ybarra, having to personally rescue the project from cancellation on a number of occasions.